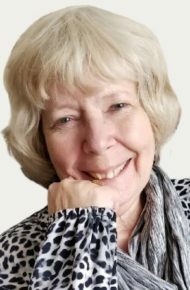 Florence B. Haertter, 72, of Lancaster, passed away peacefully, with her family by her side on Sunday, December 2, 2018 from her courageous battle with cancer. Born in Philadelphia, she was the daughter of the late Joseph E. and Thelma (King) Burgert. She was the loving wife of Joseph L. Haertter, with whom she celebrated 52 years of marriage. Florence was a graduate of the Wilfred Academy of Hair & Beauty Culture of Philadelphia. She was also employed at Shanks Extract Co. for 30 years where she retired as the Quality Control Supervisor. Florence and her husband Joseph were very active members of St. Philip The Apostle Catholic Church. She was a member of the Women’s Auxiliary, serving as past President, a member of the Pastoral Parish Council and very involved in organizing various activities. Although Florence’s creativity was expressed through her scrapbooking and sewing, her greatest passion was being with her family, especially her grandchildren. In addition to her husband, she is survived by her three sons: Timothy, married to Shawna of Lancaster, Gary, married to Tipvemon of Middletown, DE, and Craig, married to Sheryl of Landisville, and by her seven grandchildren: Adam, Jolie, Emily, Aum, Lauren, Andrew, and Eric. Friends will be received on Thursday, December 6, 2018 from 6-8PM at the Charles F. Snyder Jr. Funeral Home & Crematory, 3110 Lititz Pike, Lititz, PA. Friends will be greeted again on Friday, December 7, 2018 at St. Philip The Apostle Catholic Church, 2111 Millersville Pike, Lancaster, PA 17603 from 10-11AM, with the Mass to follow at 11AM. Interment in St. Joseph New Catholic Cemetery. In lieu of flowers, please make contributions in Florence’s memory to St. Philip The Apostle Catholic Church at the above address or to Hospice & Community Care, 685 Good Drive, Box 4125, Lancaster, PA 17604-4125. So sorry to hear of the lose of your wife and partner of 52 years. Remember the Lord only loans us all our loved ones, and one day will call them home. It looks like, by the video, that you have a very large family. Just hold on to all the memories. Again so sorry for your loss. Maybe the next time I visit pa I could visit you. We have lived in Virginia for the past 36 years. To begin, let me say that I am sorry for your loss. I cannot even imagine what I will feel on the day that our Lord chooses to call my mother to his side, but the day I learned of your mother’s passing I did get a small taste of the emotions that I will feel. In thinking about what to capture here as my memories of “Flo” (probably going to regret that when I see her again), I find myself lamenting the fact that the further I get away from my late teenage years that my specific memories of that time are lost or fuzzy. I will try to capture in a few words what I do remember and hopefully honor your wife’s/mom’s memory. I remember always being welcome at your home. I can still hear Mrs Haertter’s disembodied voice filtering down into the den or up the stairs from the kitchen, asking me if I was planning on eating at your house that evening. I remember warm, loving concern for me as if I was one of her boys and, depending on the conversation and my response, relief that I was not. I realize that I was one of the luckiest teenagers ever, as I had at least two homes in which I could safely spend time, where I was free to express myself, and where I received the guidance that young men so much require from a second wonderful “Mom”. Mine and Linda’s thoughts and prayers are with you and your families during this time. My most heartfelt sorrow for you and your family. We were so shocked to hear about Florence, but didn’t realize she had cancer. We send you our most warmest greetings and know that you will see Florence again in heaven some day. Craig, Jay and I are so very sorry for the loss of your mother. Craig, I didn’t know your mother but I know the loss of a mother is difficult, no matter their age. I lost my mother almost two years ago and I miss her every day. Know that your mother is at peace in her eternal home with no more pain and suffering. I want to try to make the visitation on Tuesday evening but, if you don’t see me know I am there in spirit giving you the stength you need at this difficult time. My sincerest sympathies to your father and brothers and your entire family, as well. I am truly sorry for your loss. May all the wonderful memories you have be a comfort during this difficult time. I must say, the picture of Florence shows the warmth and love she had for her family. You will be in my thoughts and prayers. Saying goodbye to someone who is loved is heartbreaking, and Florence was loved. Your family is in our hearts and prayers at this difficult time. Mrs Haertter was such a kind and caring person. My wife and I enjoyed visiting with her and her wonderful family anytime we were in Lancaster as well as down the shore. She always had a funny story and such a terrific smile. She so loved her family. She and Mr Haertter raised 3 great sons who I am proud to call friends. Gary, Tim, Craig, and Mr Haertter my heart truly goes out to each of you. Joe, our condolences to you and your entire family at this sorrowful time. My our Lord God grant you peace and heal your sorry. Words alone cannot express our deep sorrow at the passing of our dear friend. May she now rest in the arms of Jesus and Our Blessed Mother Mary and God grant Joe and the family comfort in their sorrow and grief. She was a true friend and will be deeply missed. My deepest sympathy for your loss. She put up a good fight this past year. May GOD give you peace knowing she is in Heaven because HE called her home.